I’ve seen good Christmas movies and I’ve seen bad Christmas movies. But, outside of those schmaltzy TV movies that play in syndication around the holidays, I don’t think I’ve seen a Christmas movie as strange as A Merry Friggin’ Christmas. I would say this means Tristram Shapeero’s film is in a league of its own, but that’d be giving the movie too much credit. 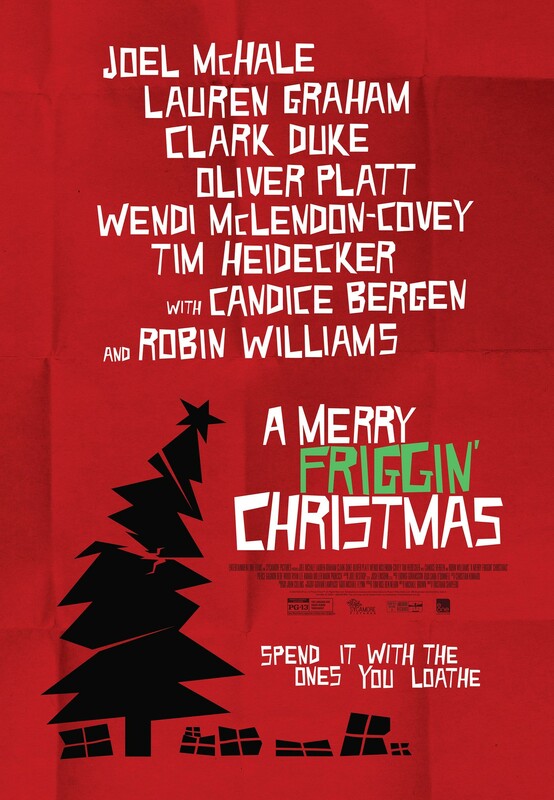 A Merry Friggin’ Christmas has been labeled as a comedy, but even that’s a stretch. Screenwriter Michael Brown thinks he has jokes when really he has a jumble of ideas that could contribute to setting up a joke. The problem is he doesn’t build up. It’s like if Wile E. Coyote bought a bunch of Acme dynamite and instead of supplying a trap and igniting the fuse, he cut out the fuss and ran off a cliff anyways. Take the premise, for instance. Boyd Mitchler (played by Joel McHale) has had a crappy childhood under the guidance of his off-colour father Mitch (played by the late Robin Williams) who did nothing to play along with any Christmas games. He admits Santa is a sham. To overcompensate, Boyd does everything he can to maintain his son’s holiday innocence. The lengths Boyd will go through to keep Santa alive are amusing, and Tristram Shapeero is more than lucky to be granted with such a loaded, talented cast. The rest of the ensemble rounds out with: Clark Duke, Lauren Graham, Candice Bergen, Wendi McLendon-Covey, and Tim Heidecker. But, Brown does nothing with this story other than use it as a road map for his characters to jump through the hoops they need to in order for the film to reach its underwhelming finale. The minor silver linings we do snicker at are directed towards the actors, who occasionally find gaps in the movie to raise the material. McHale borders on funny insanity as a goodie-goodie, Williams is enjoyably salty as someone who’s oblivious to his tough love hurt, and Heidecker runs away with his scenes as Dave, a rugged husband with a criminal record. However, the criminal record is only present for Mitch to call Dave a pervert, Williams doesn’t get a proper chance to earn sympathy from the audience, and McHale goes kaboom in a way that only shows he can be as cold as his father. A Merry Friggin’ Christmas is a massive, noncommittal miscalculation. The rest of the supporting cast get a bum deal as well. Graham and Bergen get drunk and stumble around in an attic while the boys are out, and a child’s weird skill of speed eating is squandered away on a limp gag where Boyd’s son eats some expired pickles, hallucinates, and runs around really fast. A Merry Friggin’ Christmas has had a questionable road to release. It had a fleeting theatrical run before hastily heading to VOD and DVD before you could say “season’s greetings”. I caught the film on TV. Not video-on-demand. 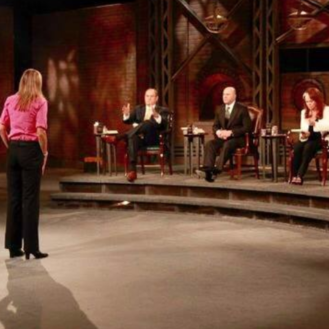 On a basic cable television station running the film as if it was a hot commodity. I would hate to think the film is being handled this way to capitalize on one of Robin Williams’ final films. What a cynical thing to think around such a joyous time of the year. 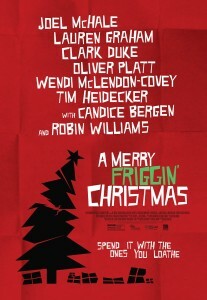 My bet: A Merry Friggin’ Christmas is being rushed out because someone has realized how sour the movie is. Their Christmas gift to the world is dumping the flick like warm egg nog.